In the early days of the space program there were several dynamics that worked for and against a winged, reusable space vehicle. First, the space race itself put resources and focus on a moon landing. A winged, reusable vehicle, while studied extensively by NASA and the Air Force through the X-1, X-15, and lifting body programs was not in the immediate plans for the civilian space program. A winged, reusable spaceplane was the ultimate dream, but too far ahead of its time for NASA. This was especially true for an organization that’s main charge was to get to the moon. Capsule technology was the quickest and simplest way to achieve that task. This would, in the early days of the space program, leave the military as the chief evangelist, owner and operator of such a vehicle. There would be other political and technical issues. Eisenhower’s motivation for creating NASA was due largely to creating an image that America would seek the civilian and peaceful use of space rather than a direct militarization of space. While in practice this was true, both the Soviet and the U.S. program pulled its astronauts from the ranks of the military, and both used rocket technology derived from military ICBMs. Despite the peaceful, public facing manned space programs of each country, neither had been deterred from planning for the military uses of space. The Cold War in space was fueled by Kennedy’s moon landing challenge, but Kennedy quickly backpedaled and sought cooperation for a joint effort with the Soviets. It would be too late, the space race was off and running and long with it a huge national effort that left the military scrambling for ways to use space for military purposes. Military uses of space would require different vehicles and orbiting platforms to dock the vehicles for extended stays. That would require the development of a unique craft with versatility, re-usability, and payload capacity as key characteristics. A military spaceplane would need to plan for a multitude of activities ranging from reconnaissance to perhaps serving as a space “bomber” to potentially conducting on-orbit missions to disable satellites. The vehicles used and planned by NASA to accomplish the moon landing were too expensive, too clumsy and did not offer the rapid turnaround required by the military. The very public NASA program also did not offer the military the ability to operate with some level of secrecy. Dyna-Soar would be the military’s answer. It would be in many ways the true ancestor of the Space Shuttle. Many of the issues and concerns it faced would need to be solved for the Shuttle. For the late 1950’ and early 1960’s creating such a vehicle would come with enormous technical challenges. The military sought a three hour turnaround on an orbital flight path anywhere across the globe. This would require a simple vehicle without significant technical complexity or weight. One of these key items would be the thermal protection system. The preferred method for space vehicles at the time was to use an ablative material. This would not be an option for a spaceplane. The ablative material was heavy and rather than being designed for reuse had a one-time use. Ablative material flaked away as the vehicle reentered the atmosphere. On a capsule design, the material went harmlessly around the capsule; hot flaking material on a winged spacecraft could damage the less heat sensitive areas with debris including the vertical stabilizer. More troublesome, the potential uneven ablation could affect the vehicles aerodynamics as it came under the control of its movable surfaces in the thickening air. Other materials such as titanium which is often used on high speed aircraft in heat sensitive areas could not withstand reentry heat. There would need to be the development of a ceramic based heat shield that absorbed and dissipated the heat rather that ablated it. It would be a technology used on later on the Space Shuttle, but a brand new technology for the early 60’s. The designers of early winged space vehicles were making assumptions that technology would advance rapidly and some of their needs, while not available immediately, would be available by the time a craft was built. In the absence of computers, the vehicles would rely on pilots to maneuver in orbit and deorbit; a complex task that would require landing flexibility. Next would be the issue of weight. While the vehicle was kept to a functional, payload, and crew minimum, there wasn’t a launch vehicle capable of lifting such a craft into orbit. Even one that was relatively small. There would need to be a larger launch vehicle created. At first, Titan I, then a modified Titan II, then a planned Titan III-C with strap-on solid rocket boosters would be required. The Titan I and II could only provide a boost to suborbital flight. An orbital flight would require the powerful Titan III. The use of solid rocket boosters in conjunction with a liquid fueled rocket was unheard of at the time. No man rated vehicle had considered mixing the two. It had seemed to violate a standard of safety that had been preached against by the likes of Von Braun. So much of a concern it was that a “dousing” feature was studied to shut the booster off mid-flight if needed. The issues continued to mount. As requirements were added such as abort and escape and the potential for the allotment of weapons – all of these would continue to add to a vehicle that had existed only on the drawing board. Eventually, the concept would be doomed. The accumulation of expense and technical factors combined with political conflicts and the true value such a breakthrough, but functionally limited technology would bring ended early hopes for a reusable spaceplane. The Dyna-Soar program had hoped for technical advances that would make it feasible, what would happen instead was that technology had replaced the functionality Dyna-Soar provided. While the technologies were breakthrough, the functions the vehicle would have performed were better suited to missiles and satellites. 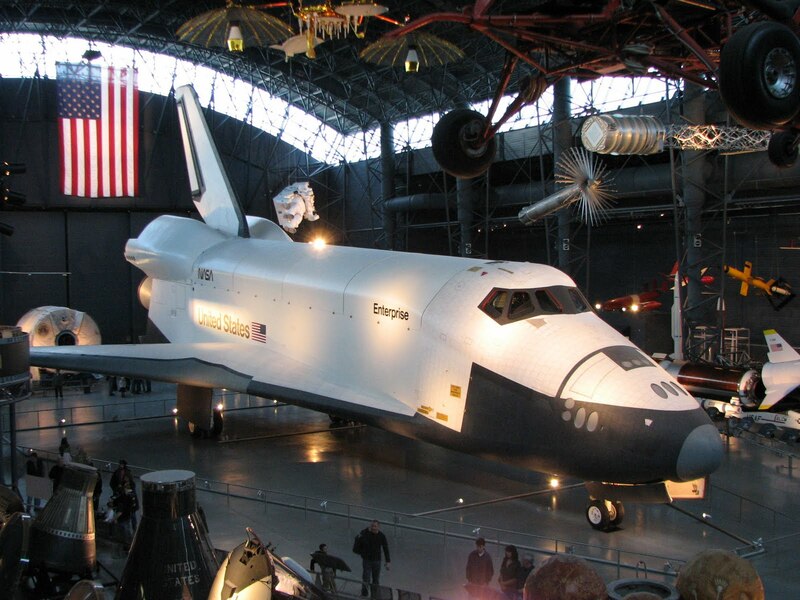 Eventually, the Air Force’s spaceplane would fly before the Shuttle, but only in the movies. In 1969, the movie “Marooned” would feature a winged, reusable spaceplane that showcased the promised versatility of the Dyna-Soar and winged spacecraft program. The spacecraft, which was based on actual Air Force designs would launch on short notice and be piloted to a rendezvous point in space to rescue a stranded Apollo crew and return them safely. The film would be the only appearance of the Air Force’s dream of manned spaceflight. The Shuttle would leverage many of Dyna-Soar‘s early work. 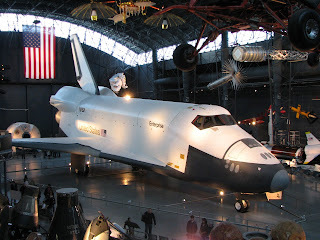 The U.S. would go on to operate the Shuttle for 30 years, but at great expense. The Shuttle, while a technical marvel for its age, was a premature technology. In hindsight, launching the vehicle manned on its maiden flight was an enormous risk that could have resulted in tragedy and crippled manned spaceflight. However, the Shuttle was a workhorse, albeit an expensive one. Its crew and medium-lift payload capacity were unmatched during its reign. The U.S. will miss the Shuttle’s capabilities. The Shuttle was not the wrong technology; it was a component of the right technology fit into the wrong strategy for space. There were other Shuttle type designs on the drawing board over the years, Russia’s Klipper, ESA’s Hermes, and both Japan and China have explored Shuttle-type vehicles. While the Shuttle never materialized its promised savings and routine access to space, duplicating it capabilities will be more costly. Replacing the Shuttle will not be easy; once again, it will require a new way of thinking and additional breakthrough technologies. It will require multiple launches, and perhaps robotic servicing missions to replace what humans could do. At least for the next twenty-years it doesn’t appear we will ever see the likes of the Shuttle again. Very well researched and informative!! Great post. No matter how 'peacefully' characterized, the space program and the military are intertwined in many obvious and subtle ways. A couple years back, Discover mMgazine did sister-articles about Dyna-Soar, along with the original nuclear-powered Orion space rockets of the later 50s. Deep Space Force Program warheads, anyone? Really nice post. I've been doing some work recently on the X-15 as a precursor to the Shuttle in terms of its flight capabilities, but typically I my research treats it as a (fascinating) program that failed to yield any real applications. You've presented a really interesting account of how the X-15 led to the Shuttle in a relatively linear way.